Merthyr Tydfil’s Dai ‘Dutters’ Davies (12-23-2, 2KO) has been given the green light for the biggest opportunity of his 11 year career. 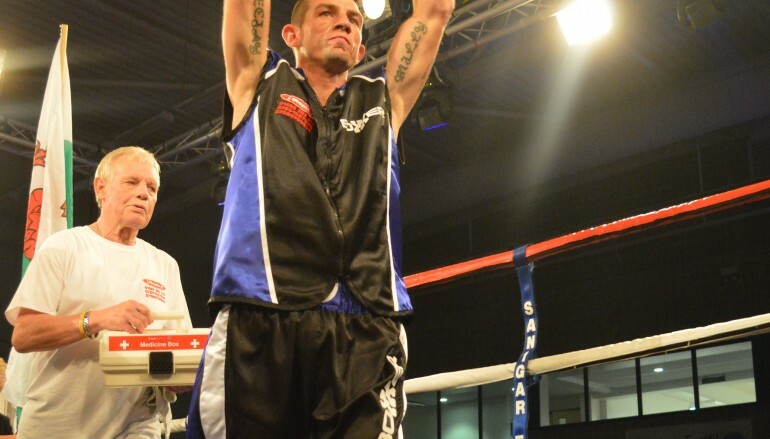 The 31-year-old featherweight will face Barnsley’s Josh Wale (17-7-2, 10KO) in a Commonwealth title eliminator. The 12 round contest is scheduled to take place on 30 May at the Magna Centre in Rotherham on a show promoted by Dennis Hobson. Davies is enjoying a rich vein of form and he scored three important decision wins in 2014. 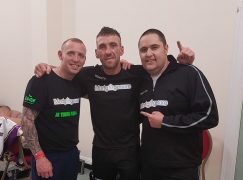 The Gelligaer Boxing Club veteran is no stranger to winning away in Yorkshire, having defeated Rotherham’s tasty Andy Townend last March. Following that, Davies enjoyed a long overdue homecoming and he headlined his hometown in July. 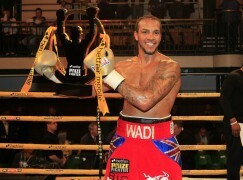 Davies produced the best performance of his career with a repeat stoppage of his rival Robbie Turley. The victory was Davies’ first successful defence of the Welsh Area title, despite two previous title reigns. In October, Davies out-pointed Bristol’s late replacement Ashley Lane to win the lightly regarded International Masters Gold belt and it was hoped it would propel him to a domestic title shot. However, those hopes were derailed when Hull’s Samir Mouneimne withdrew from their proposed eliminator when he was made mandatory for the vacant Lord Lonsdale belt by the British Boxing Board of Control (BBBoC). 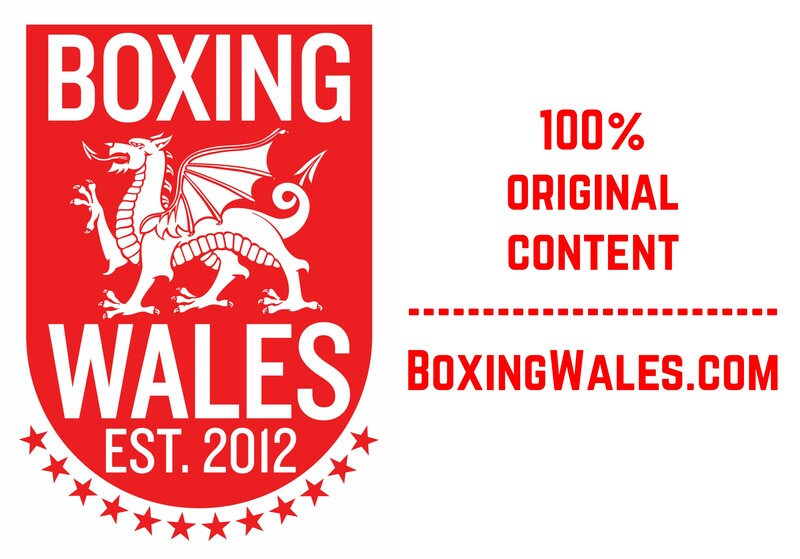 Wale, who has Welsh grandparents, has previously fought at super-bantamweight but will now compete in the weight category 4lbs north. 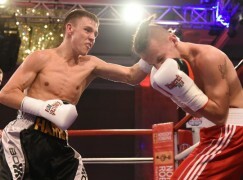 The decision followed an unsuccessful British title challenge in March when 27-year-old Wale was beaten on points by Liverpool’s skilful James ‘Jazza’ Dickens. In 2014, Wale pushed former-title holder Gavin McDonnell all the way in a controversial draw that man believed he deserved to win. The Commonwealth featherweight title is currently held by European and WBC International champion Josh Warrington, of Leeds, who is targeting a future domestic showdown with Wales’ world class Lee Selby.